Happy Valentine’s Day! I shared the other day on my mental health blog about loving one’s self. Here I’d like to share one way to love someone special. Bake a cake! And if you are concerned about not feeding your family artificial dyes and ingredients, here’s one way to have your cake and eat it, too. I have made red velvet cupcakes before using beets to color them. This Valentine’s I tried out a red velvet cake with no food coloring. I consider this more a recipe review than a super polished recipe. But I wanted to share none the less. I have only made it one time, and would tweak it some more to make it a little lighter. I used the suggested cream cheese, but found it way too dense, for my preference. I would replace that with buttermilk, and use more eggs. I reduced the sugar by half, in both the cake and the frosting. Next time I might play around with non-refined sweeteners. 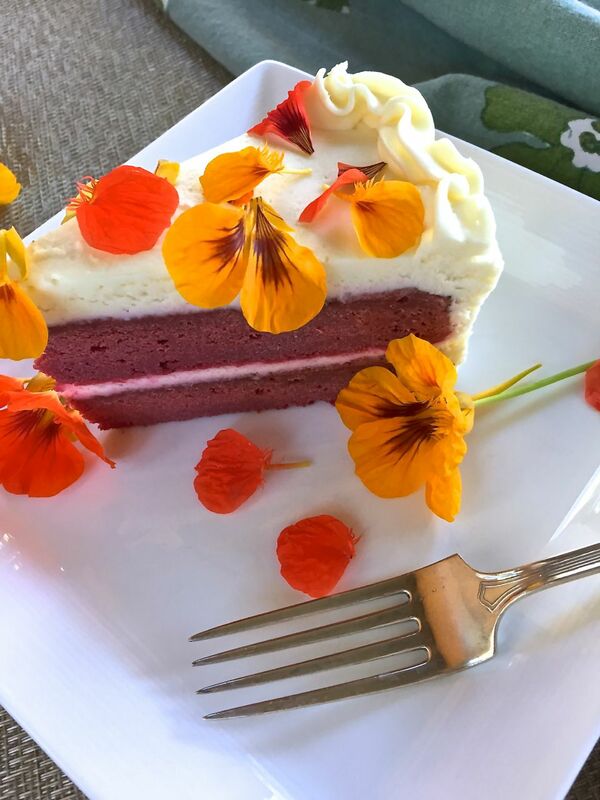 This recipe makes a dense red velvet cake, colored by beets and without any food coloring or dye. Starting with raw beets seems more labor intensive, but my past results using packaged, pre-cooked and peeled beets did not work as well. My Vitamix did not process the beets well, as it wasn't full enough or liquid enough. My old Kitchen Aid food processor worked great, and I wish I would have started with it from the beginning. I found it too dense and heavy with the cream cheese. I suggest buttermilk, which I will use next time. I used 4 eggs as called for in the original recipe. Next time I will increase it to 6. My mom suggested separating the eggs, beating them separately to give it more leavening from the egg whites, and then folding them in. For the frosting, I made a double batch of my Cinnamon Cream Cheese Frosting, omitting the cinnamon and pumpkin. 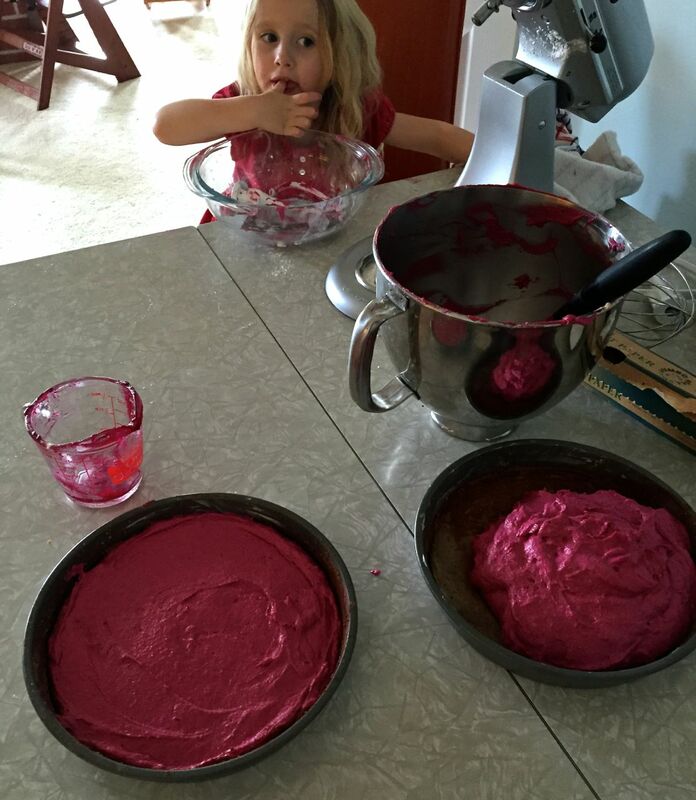 This entry was posted in Dessert, Food, Healthy Recipes, Recipes to Make with the Kids and tagged baking, cake, dessert, no dye, real food, red velvet, valentine's. Bookmark the permalink. pinned for birthday parties later – great recipe! Thanks Kate, hope you and your family enjoy! Excellent! 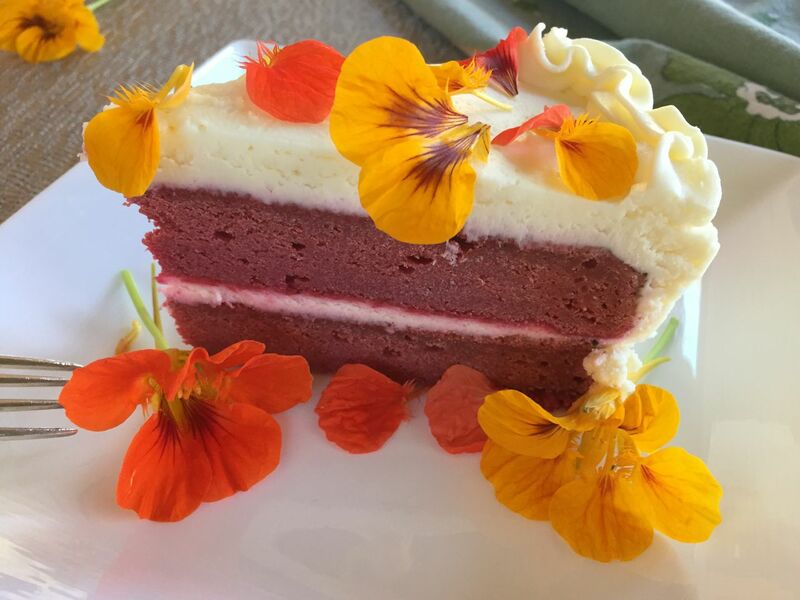 Love the beets in the dessert instead of food coloring. Thanks, Caitlin. Food coloring totally weirds me out. Some kids are really sensitive to it, too. That looks beautiful!! So glad it worked for you!! Thanks Jaime!! I would probably try buttermilk next time. I have made your red velvet cupcakes before, and those were absolutely perfect as written!